Last night, I checked out Boise Brewing for the 1st time. Although craft beers weren’t as popular in South Florida while I was living there, I picked up this interest in the craft brew scene when I lived in Maine. Disclaimer: I am not a beer connoisseur whatsoever. That said, I don’t necessarily judge the craft beers based off substance. Some critics have mentioned to me breweries are all the same. Private Room is worth a visit: I was impressed on how quaint and comfortable the private room was. It comfortably fits 30+ people, fair share of places to sit (including a ledge with a view of downstairs), and a staircase with a straight shot to the bar. That’s always a win. If you’re thinking about a cozy place for a gathering, whether it’s for your office or group of friends, I suggest you checkout Boise Brewing’s private area upstairs. Time to mark my calendar!! 3. Responsible for annual Hoptober Freshtival I’m pretty bummed that when I first moved to Boise, I wasn’t aware of this FRESHtival. Otherwise, I would have attended and scratched it off my #boisebucketlist. According to their website, over 60 fresh hop and season beers from 30+ local/regional craft breweries are featured. Over 2,000 (yes 2K) patrons attend each year. I plan on going next week to take advantage of the $1.00 off the featured food truck. 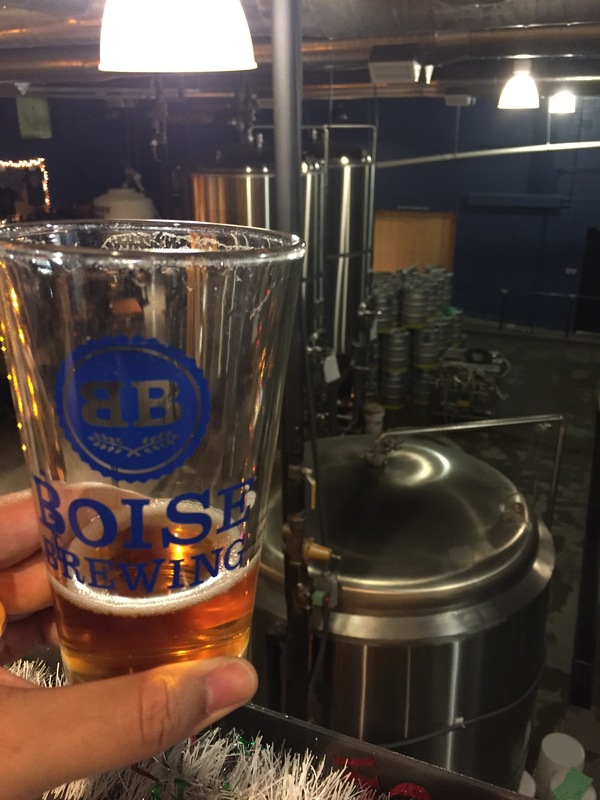 Have you checked out Boise Brewing? What are your thoughts? I’d love to know! !